Deborah A. Fritz, MD is a Cincinnati-based Rheumatology specialist. Beyond her Internal Medicine specialty, Dr. Fritz received two additional years of education focused on Rheumatology and Immunology. Her practice is devoted entirely to Rheumatology. Dr. Fritz established her private practice in Cincinnati, Ohio in 1987 and has operated as a solo practitioner since. She offers her patients state-of-the-art medicine delivered in a refreshingly traditional manner—remaining on the cutting edge when it comes to current treatments and research in her field, all the while insisting on quality, face-to-face, hands-on time with each of her patients. When patients call Dr. Fritz’s office, they will speak with a person and not to a recording…there are no menus nor hoops to jump through. 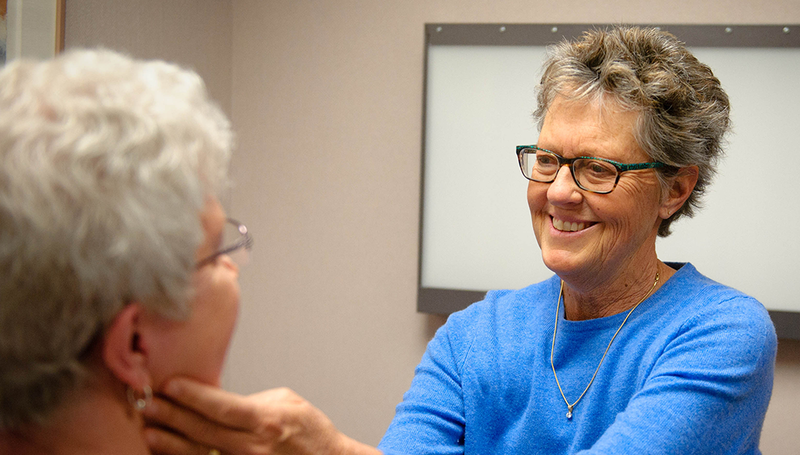 And when patients meet face-to-face with Dr. Fritz, they receive her undivided attention. And speaking of getting some attention: Each year, Cincinnati Magazine reports that her peers rate Dr. Fritz as one of Cincinnati’s Top Doctors.